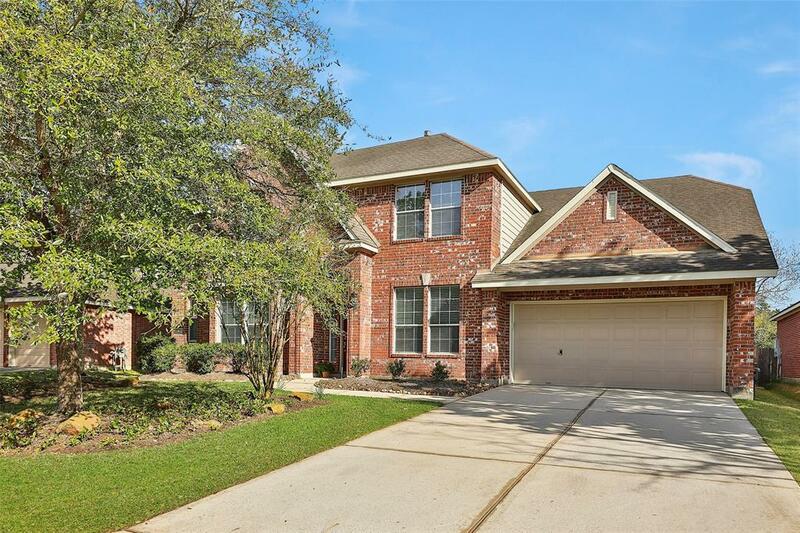 EASY TO ENJOYFabulous David Weekly Prichard floor plan with 4 bedrooms, 3.5 baths, study, formal dining, game room and 3 car tandem garage. Abundant light, high ceilings and open floor plan. Large Island Kitchen with Avanza counters, new stove, abundant counter space & plenty of cabinets/storage and reverse Osmosis water filter system. Master suite is downstairs and has a large walk in closet, separate shower and tub. 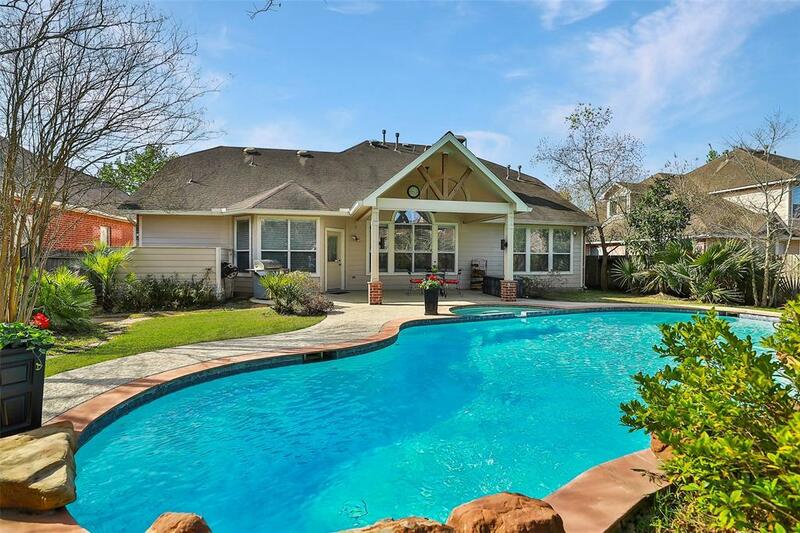 Summer is just around the corner, you'll just love the private backyard paradise, ideal for outdoor entertaining-featuring a large covered patio, heated saltwater pool and spa. 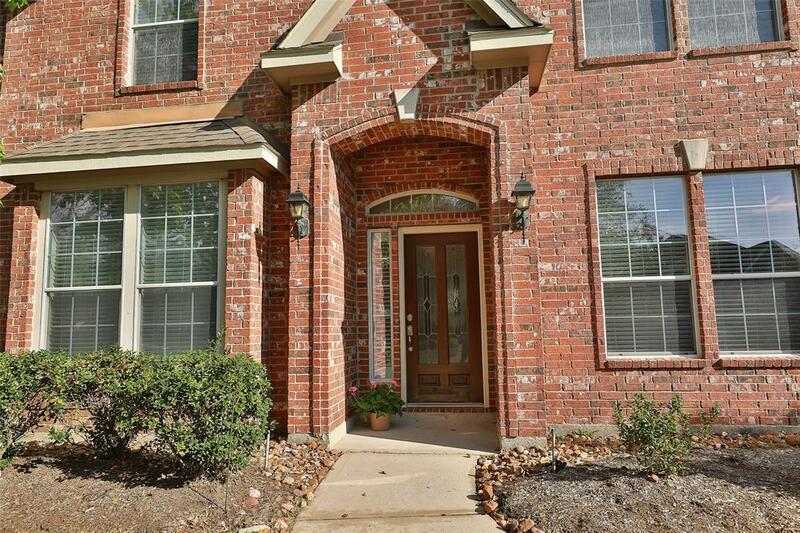 Nearby Windvale Park has a pool, playground & tennis courts, and is only a short walk away. 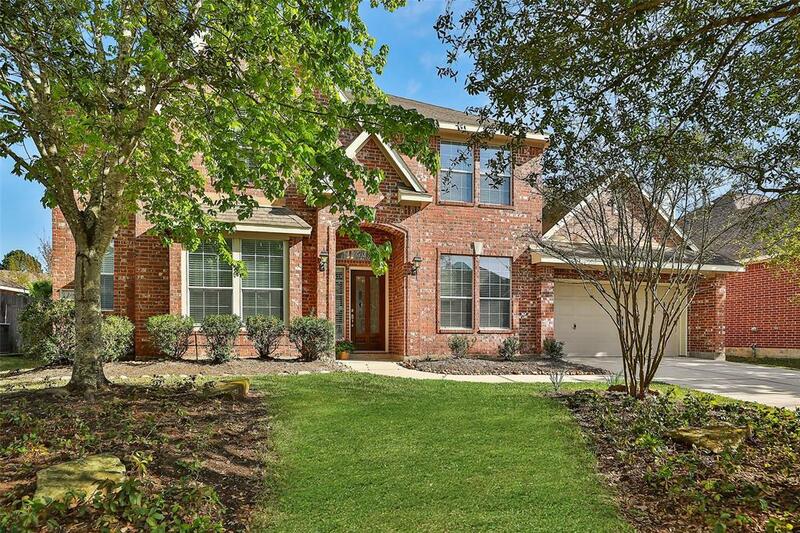 Location is convenient to all The Woodlands amenities, Conroe ISD Schools, close to I-45, Hardy Toll Road, US 99 & Bush Airport. High & dry during Harvey. COME MAKE THIS ONE YOURS TODAY!